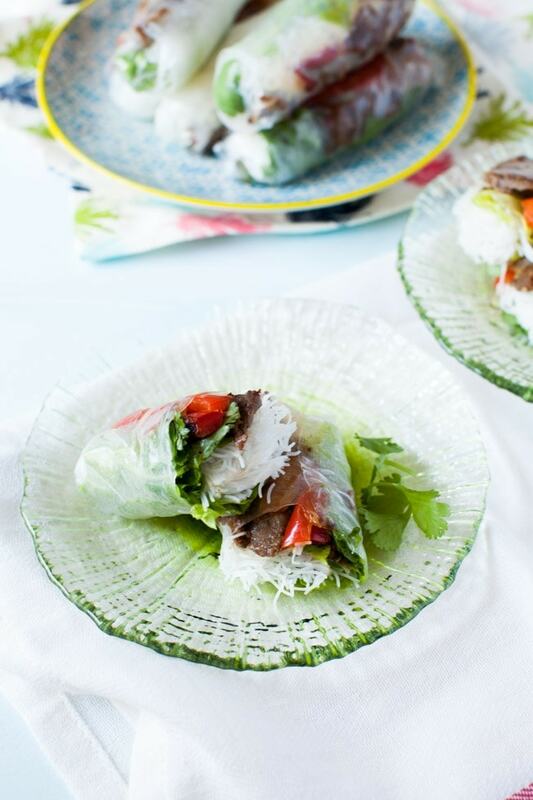 Spring Rolls are so pretty and I love all of the fillings that go inside of them before they’re wrapped up. 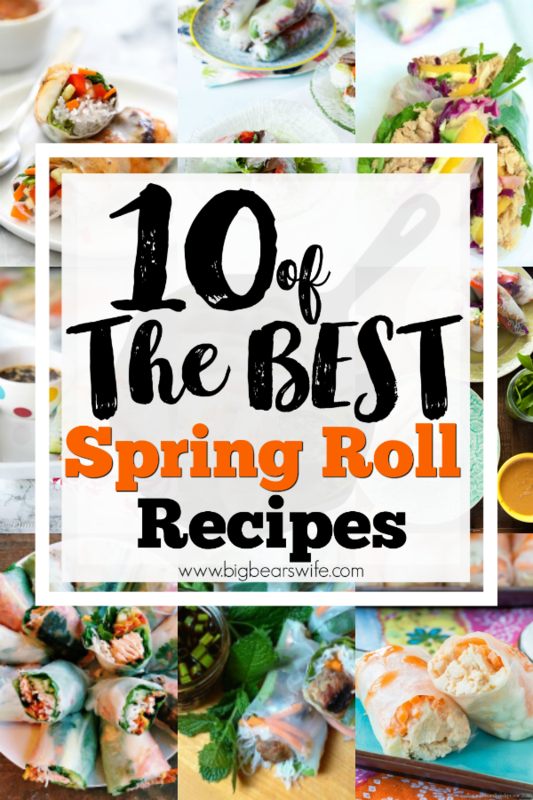 These are some of the best spring roll recipes that I’ve found! 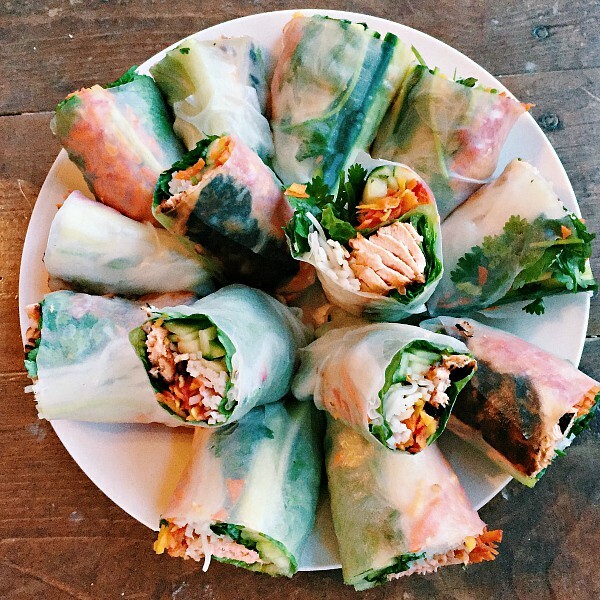 I think spring rolls are probably one of the prettiest foods ever. 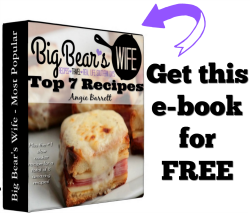 You fill them full of wonderful and fresh ingredients and the bright colors just peak through the clear wrappers to let you know that’s waiting for you! 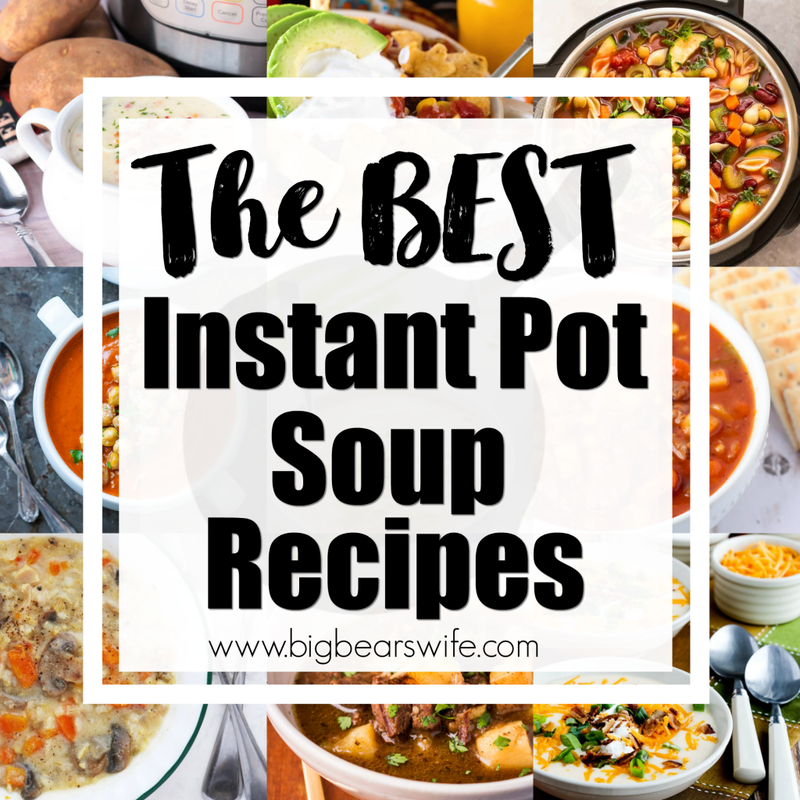 They always make me feel so light and wonderful when I’m enjoying them and they’re pretty easy to make too! 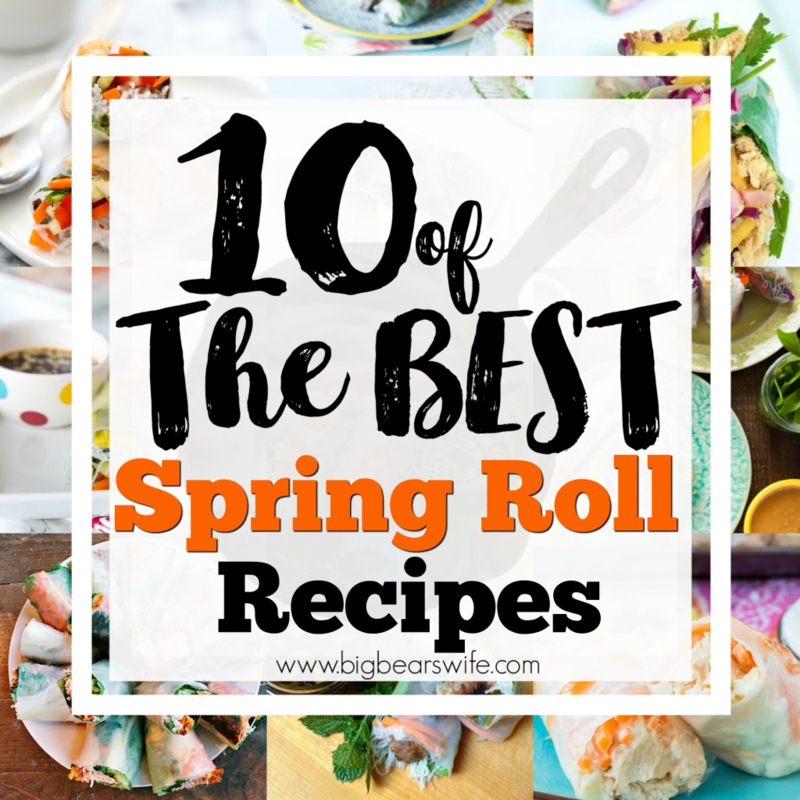 I’ve been looking around lately for some new filling ideas for spring rolls and ran across these wonderful recipes! 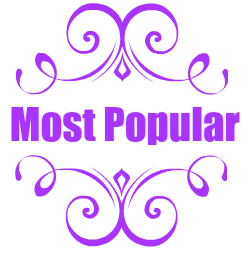 I loved them and I thought you were too! 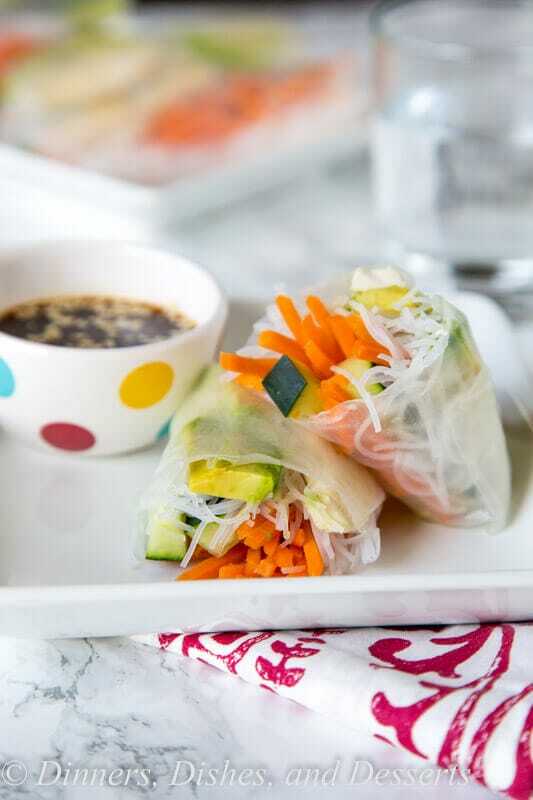 What’s better than Spring Rolls for Spring Lunches? 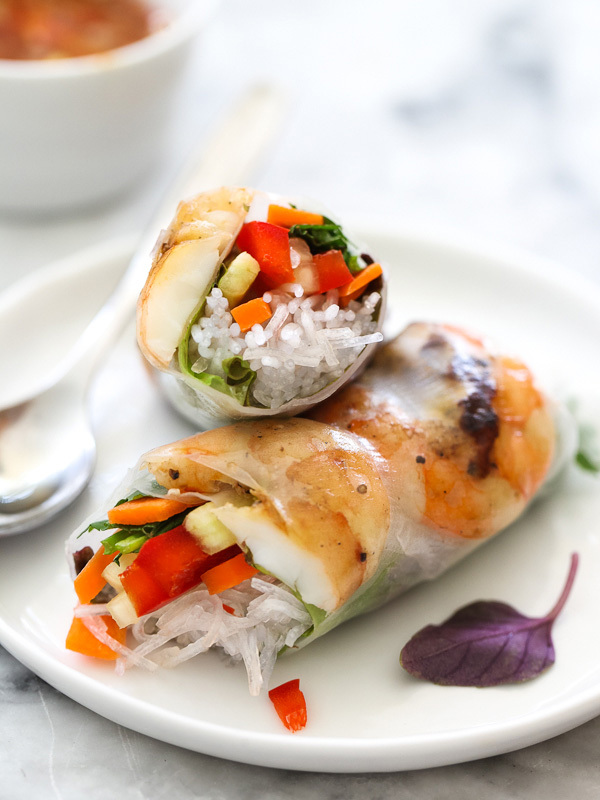 Most Vietnamese spring rolls have boiled or steamed shrimp tucked inside their rice wrapper goodness. This time around, Heidi peeled and de-tailed the shrimp, then marinaded the them for about 30 minutes in a super simple sauce to add a little more flavor before they hit the skewer. 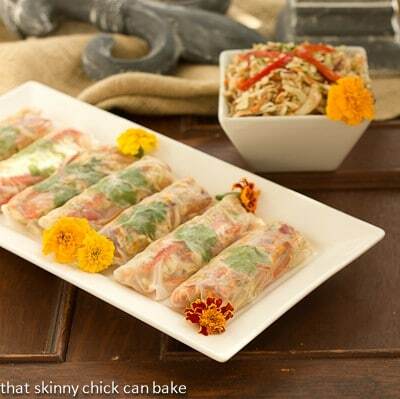 Copycat Tokyo Joes Chicken Spring Rolls – almost no cooking required to make this easy copy cat recipe for chicken spring rolls. 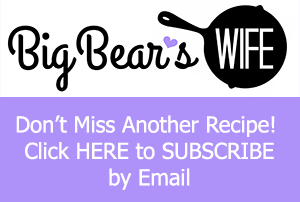 This Salmon Spring Rolls Recipe is a delightful dish made with leftover salmon and fresh veggies, for a perfect weeknight dinner! This Asian coleslaw was amazing. I suggest you just make a double batch and shovel it in with a fork. 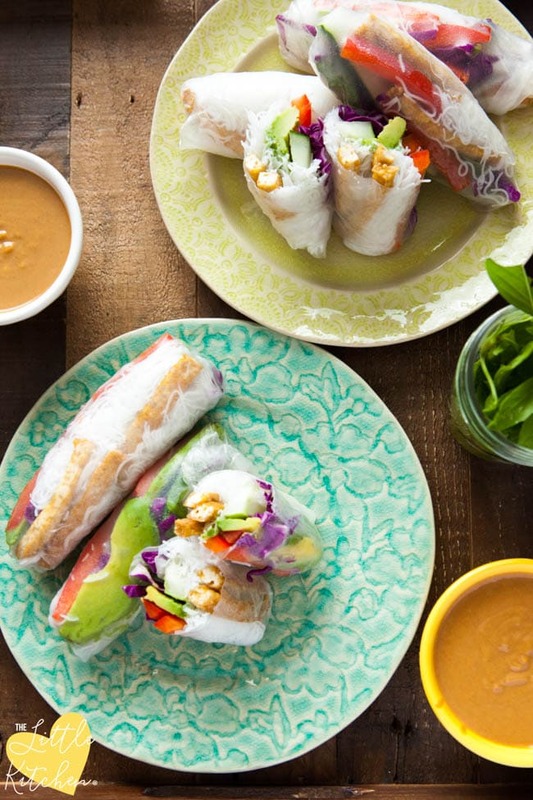 If you’re overly ambitious, or a spring roll aficionado, go for the whole shebang. They are gorgeous…and tasty. Did I mention tasty? 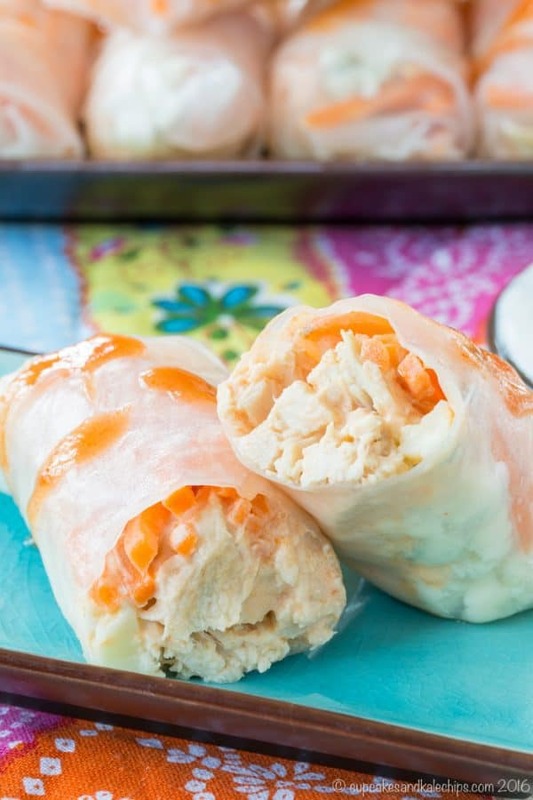 Buffalo Chicken Spring Rolls are the perfect gluten free appetizers to make when you want easy, healthy finger foods with loads of flavor! 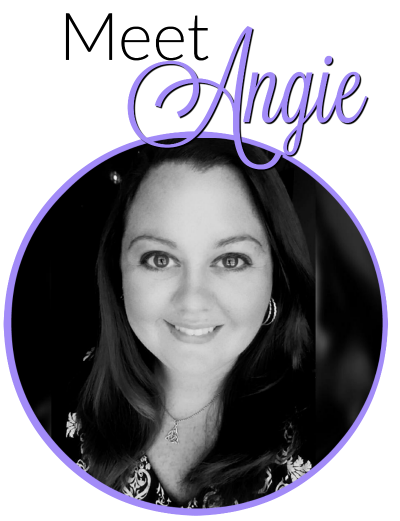 Julie loves making these as a family and she says that the fried tofu strips are so good that she can eat them like fries! A fun and easy no-cook appetizer, these chicken teriyaki meatball fresh rolls are full of flavor and sure to be a crowd-pleaser.